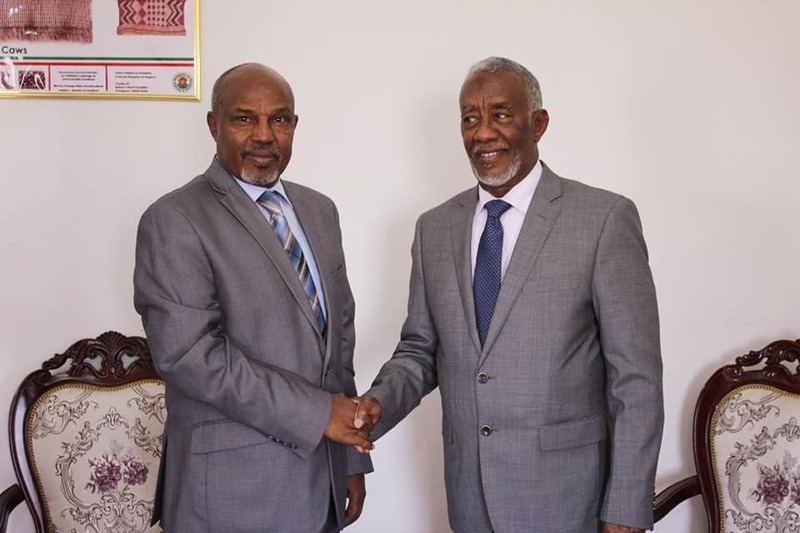 The newly appointed Ethiopian Consul to Somaliland has paid a courtesy call to the minister in charge of foreign affairs, Hon. Yasin Haji Mohamud on Monday. The minister and the General Consul of the Federal republic of Ethiopia held talks aimed at strengthening the bilateral ties between the two neighboring countries. They also discussed ways to boost the strategic partnership between the two countries. The General consul, Hon. Shamsudin Ahmed arrived just a couple days ago in Somaliland. The director general of the ministry of foreign affairs was with the minister during the high level talks with amb. Shamsudin.